Neodynetics has developed a three-step process to produce high conductivity carbon microfibers. Traditional single-step processes are insufficient to produce microfibers meeting the necessary characteristics such as fiber diameter, length, electrical conductivity level, separability and purity. The Neodynetics process includes (1) a synthesis process; (2) an advanced micro-milling process; and (3) a microfluidic technology. When fully developed and integrated, the new process technology will produce microfibers with the strong resonance characteristics needed to operate within the FIR atmospheric transmission window. The technology is specifically designed to be repeatable, controllable, scalable and cost-effective. This carbon microfiber fabrication process will find many important uses in current and future military applications, especially those involving the design and production of obscurant measures and countermeasure to protect soldiers, equipment and infrastructure. The technology itself represents a breakthrough in the ability to manufacture these highly conductive microfibers. Since the process is adaptable, scalable and cost effective, it can prove useful in a variety of industrial application. For example, the separation technology that is part of the process can be applied to many types of powdered materials that are used in the metallurgy, ceramics, pharmaceutical and fuel industries. Since the microfibers that result from this process are purified and separable while also possessing customizable properties such as fiber diameter, length and conductivity, many manufactured products including electronics, fuel cells, batteries, furnaces and others will benefit from this new fabrication method. Neodynetics has developed a microfluidic blood component separator that uses a 3-dimentional, multi-layered, microfluidic chip structure to provide high volume blood throughput while maintaining the system’s micro-size effects. The system is self-sterilizing, compact, rugged and capable of efficiently separating blood into red cells, platelets and plasma with no external pre-processing. 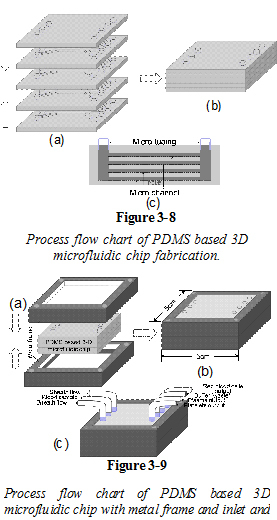 The system is fabricated using standard micro-electro-mechanical-systems (MEMS) techniques and soft-lithography processes. The multi-layered microfluidic chip will be designed for a throughput of 8.4 ml/min enabling it to process a standard human blood unit of >450 ml in one hour. The chip design can be scaled up to higher throughput rates by adding chip layers. In operation, the chip will be coupled with a microfluidic pump, compact microscope, miniature spectrometer and laptop computer to enable complete operator monitoring and control. The small, lightweight, components will be packed in a field-portable case and the low power requirements will allow the system to be battery operated if necessary. The inexpensive microfluidic chip design can be readily adjusted for separating a variety of cell types, making it useful in many biomedical applications and giving it high commercial potential. The Microfluidic Blood Component Separator (MBCS) system represents a breakthrough in microfluidic technology and has the potential to supplement or replace many larger and more expensive types of laboratory blood component separation equipment. In addition to blood cell separation, the 3D MBCS chip technology will also provide a new platform for sorting bio-molecules including DNA, RNA, and proteins, not only for clinic and diagnostic tests, but also for life-science research. The MBCS can be readily adapted to work with different optical systems and has potential to manipulate small samples of micro or sub-micro-scale particles or molecules. Hence it has the potential to be used in a variety of bimolecular studies and in nano-science research. Other applications of the MBCS technology include nano and micro-particle purification, DNA research, sensors for chemical analysis and identification, and manufacturing process control. US research and development related to the use of hydrogen gas as a fuel for vehicles and equipment has been growing for several years. New hydrogen powered automobiles are being designed while the design and installation of hydrogen fueling stations is underway in various states. Today, however, over 90 percent of the hydrogen being used for these purposes is extracted from fossil fuels — primarily natural gas. Only a small amount is obtained through the electrolysis of water due to its high cost. If the electrical power used in the electrolysis process is mostly derived from fossil fueled power plants, much of hydrogen’s environmental benefits are reduced. If a low-cost process could be developed to use renewable solar energy in an electrolysis process, the system would constitute a truly disruptive technology and one that could greatly accelerate progress toward a clean, affordable hydrogen-fueled economy. Neodynetics is a leader in the field of nanotechnology and specializes in designing, developing and fabricating new nano-materials. The company has developed a highly innovative process for using advanced nano-materials to extract hydrogen from water in a direct, solar-powered electrolysis process. The process uses a specially designed anode made from nano-structured, duel-layered semiconductor nano-particles, with each layer having the properties needed to absorb a different segment of the solar energy frequency spectrum. The photo-anode will derive energy from a wider portion of the solar spectrum than prior systems and be able to use the increased energy to directly split seawater molecules into hydrogen and oxygen using a more efficient photo-electrochemical (PEC) process than currently exists. We estimate the solar-powered PEC cell will continuously capture hydrogen gas from seawater while eliminating the traditional problems of electrode decomposition. By scaling up the system, the technology can generate large quantities of hydrogen gas from seawater at very low cost. This approach would lead to inexpensive hydrogen fueling stations that can generate and store their own hydrogen on site by using the available solar energy and water on site. Due to our company’s extensive, hands-on experience with nano-surface fabrication and electrochemistry, we can devekop and demonstrate the required technology in a relatively short timeframe. We believe this project can be carried out at low cost and with low risk using our small but highly qualified team of scientists and engineers. Our lab contains most of the needed equipment. The initial lab-based proof-of-concept will require limited funding and will lead to a decision point for the remaining project. Proof of concept will be obtained via a bench-top prototype demonstration to measure and document the volume of hydrogen derived using our fabricated nano-material anode in an solar/electrochemical process with water. The overall project would require about 2 years and would result in a low-cost, disruptive, high payback process technology for solar electrochemical hydrogen production. Neodynetics is seeking sponsors, collaborators and tech transfer partners for this high-stakes/high payback development project.